Spanish castles are very varied because of the many architectural influences. They were built mainly to stop the Arabs from advancing in their attack. Spanish castles have a distinct look, the architecture is many times influenced by the Arab style. 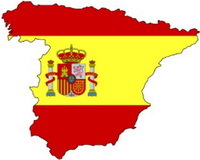 Most of the Castles in Spain are located in the region of Castille & Leon. Even the name of this region is derived from the word “castle”. But there are many castles in other regions of Spain too, some of them constructed by the Moors while others by the Christian army when they reconquered the territories in the Iberian peninsula. Although at one point it is believed there were over 10,000 castles in the current territory of Spain today about 2000 castles still exist and the number of the ones that can be visited is far less. One of the most famous castles in Castille and Leon province is the Alcazar de Segovia. Although there are other famous castles like Loarre Castle or La Mota, the Alcazar of Segovia is the most recognizable Spanish castle. The Alhambra castle complex in Granada is the best example of Moorish architecture in Spain, and it is one of the most visited buildings in Spain. When it comes to Royal residences, the Royal Palace of Madrid is the most famous building in Spain’s capital city, Madrid. On this site we will try to document most of the Spanish castles and fortifications; however we won’t be able to document all the castles. You can browse castles by regions using the right menu or you can browse through our selection of the most famous Spanish castles on this page.